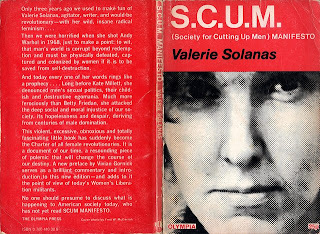 Solanas begins by presenting a theory of the male as an "incomplete female" who is genetically deficient due to the Y chromosome. 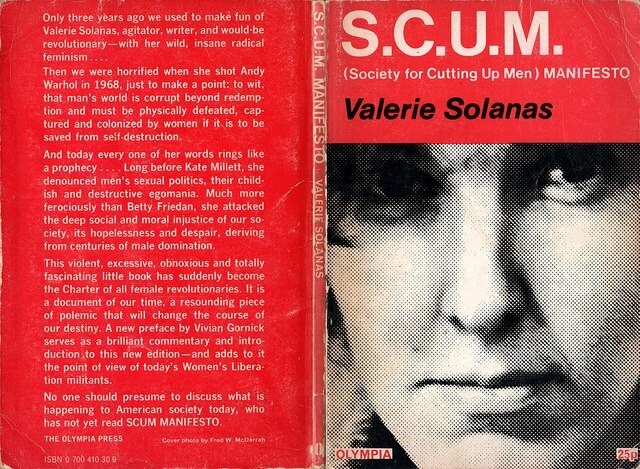 According to Solanas, this genetic deficiency causes the male to be emotionally limited, egocentric, and incapable of mental passion or genuine interaction. She describes the male as lacking empathy and unable to relate to anything apart from his own physical sensations. The manifesto continues by arguing that the male spends his life attempting to become female, and thereby overcome his inferiority. He does this by "constantly seeking out, fraternizing with and trying to live though and fuse with the female. "